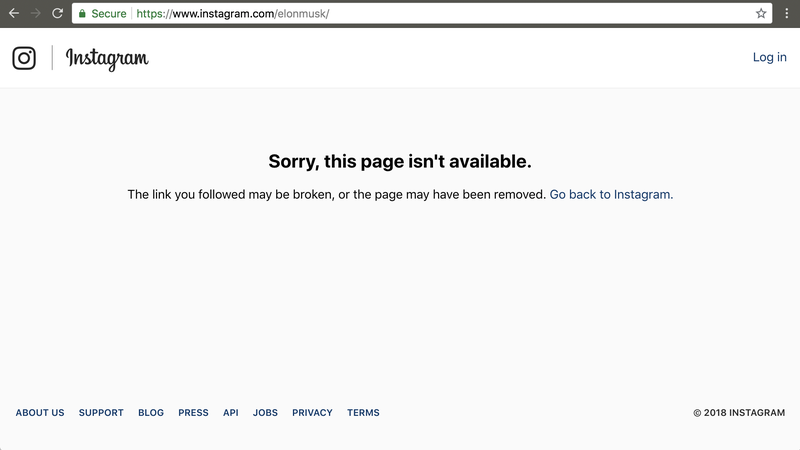 It looks like Tesla founder and tortured workaholic Elon Musk has deleted his Instagram account. “Finally!” you might say, if you’ve been following the 47-year-old’s controversial behaviour on social media lately. “But wait you have to give me back my phone!” Azealia Banks might say, since she demanded Musk return the device around the same time he nuked his Instagram. “What on Earth is happening?” everyone else will definitely ask. Within a few hours, folks online noticed that Elon Musk’s Instagram page no longer existed. We’ve reached out to Musk and asked about the latest Banks drama and his missing Instagram. Elon Musk has confirmed what happened to his Instagram account. “I deleted it last night,” Musk told Gizmodo. He offered no further explanation.